In many African countries highly educated academics flee the country, due to economic situations, famine or the terrors of war. This has left many parts of the continent without adequate teaching staff for higher education, depriving the students of the opportunity to receive qualifications for a brighter future. We believe that education is not a privilege, but a human right, accessible to everyone anywhere. To ensure that the African nations that have been affected by the migration of academics can still develop their own academics in the future, action has to be taken now. The students of today will become the teachers of tomorrow, and if the system of higher education struggles to prepare the young scholars today, the problem will only become more severe in the years to come. Dr Saralees Nadarajah of the University of Manchester sought out to help with these grievances. 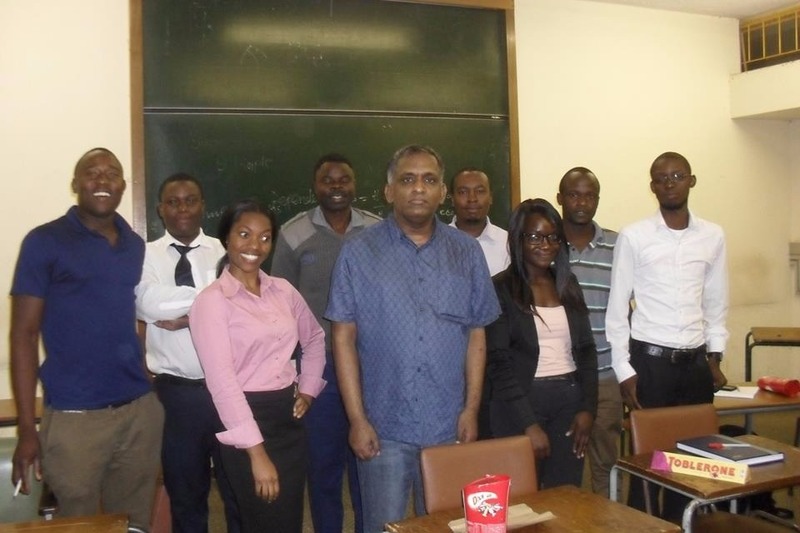 A lecturer himself in the department of Statistics, he has contacted universities in and travelled to different African countries to establish a meaningful education project on site and online. Through video lectures multiple times a week and lectures at the local universities in for example in Harare, Zimbabwe Dr. Nadarajah has dedicated his personal time and funds to provide teaching services to students across many countries, absolutely free of charge. 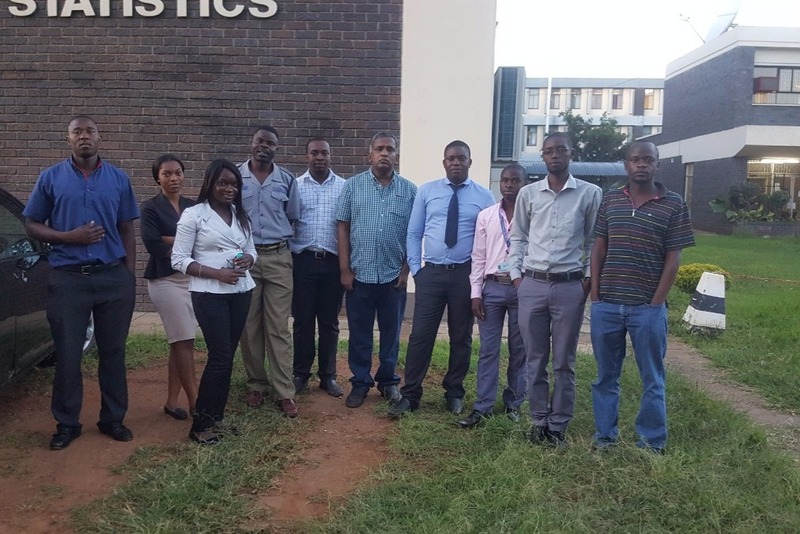 This effort has been going on for a few years now, spreading from Zimbabwe to multiple other countries in Africa. The online students include nationals from Nigeria, Senegal, Ghana, Niger, Benin, Cameroon, Kenya, Cameroon, Rwanda, Burundi, Congo, Chad, Democratic Republic of Congo, Chad, Madagascar, Sudan, Burkina Faso, Mauritania, Ivory Coast and Zimbabwe. The most recent project we are aiming to realise, is to enable several students to travel to Manchester, England for one month to supervise their final dissertation. The time spent abroad in collaboration with the University of Manchester could greatly benefit their job prospects in their home countries. Additionally it would give more students the opportunity to complete their degree in due time, and move on to a brighter future sooner. With additional funds we hope to spread the scope of the operation, recruit additional lecturers and advertise the programme internationally. To ensure optimal quality of the teaching session, higher quality equipment and IT support will be necessary. To integrate the online teaching into the curriculum, so that the lectures offered will contribute to the award of a degree, travels to the countries of the participants will be necessary. As Dr. Nadarajah has so far funding all these operations himself, sacrificing the little spare time a university lecturer gets, every little contribution to the teaching efforts would help. None of the funds will go to the volunteers directly; no offices or administration will be paid for by donations. All people involved are volunteering, with nothing in return. Thank you very much for considering giving to the Educate Africa project. To explain a little bit more about the backgrounds of the people that are involved, we have created a YouTube channel. The students featured in this short clip have given us interviews to shed light on the hardships and obstacles they face while trying to obtain access to higher education. Please consider their fates and start helping either financially or by supporting our organisation. We cannot rely exclusively on governments and other people to fix these injustices for us. Action must be taken now!